GARANT ADVOCATS SCP is a multidisciplinary firm specialized in different areas of law, offering a wide range of services for both businesses and individuals.The firm has established solid collaboration relationships with reputable standing law firms with headquarters in all the state of Spain, ensuring a full legal coverage for our clients. Our first class professionals make available to you their knowledge and skills in order to obtain the best result for your interests. Joint ownership and residents’ associations. Defence of the consumers and users’ rights. Ordinary, verbal and exchange proceedings. Mutual agreement and litigious separations. Unpaid alimonies and non-fulfilment of the agreements. Marriage filiations and domestic partnership. Acknowledgement of paternity and changes in the custody. Defense for arrested or accused person. Proceedings before the Jury Court , fast-track procedure, preliminary proceedings, speedy trial and summary trial. Drunk driving and other traffic offences. Crime of homicide, personal injury , abortion and other crimes against individuals. Crime of domestic violence or victims of maltreatment assistance. Applications to the Provintial Court, National Court, Supreme Court and Constitutional Court. Threats, libel, coercion and slanders. Scams, theft and illicit appropriation. Abandonment of the family, non-payment of alimony, international child abduction. Business advice and drafting employment contracts. Contractual amendments and collective Agreements. Incapacity for work and sick leave. Amount reclamations (salary, overtime hours worked, settlements…). Family ties, social ties and Work Reasons. Jobs in the country of origin (initial B1). Assistance at police and judicial offices. Application forms to Government Administration, autonomous Administration and local government. All kind of licences procedures. Associations and Foundations constitution to Government Administration, Autonomous Administration and Local Government. Assistance to the Management Board and the General Meeting. Commercial hiring(advice for all kind of commercial contracts subject to national, international and EC law). Patent and company rights (patent, trademarks and copyright register). All kind of contracts advice and drawing up: renting, sale. 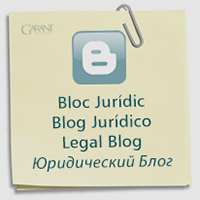 GARANT ADVOCATS SCP ensures the greatest amount of transparency and payment facility in our fees, adjusting to our clients’ requirements.The prior agreement between the parties will be established in a professional assignment sheet, according to the ethical rules of the lawyers’ profession.